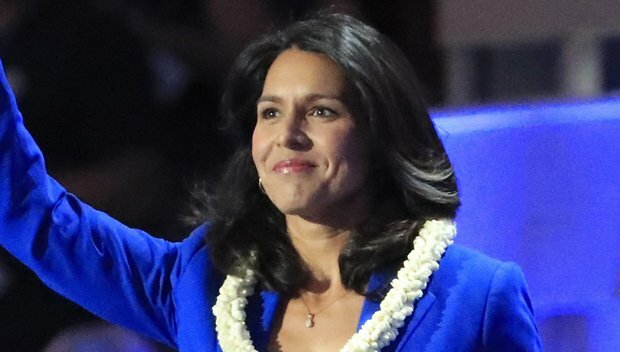 Tulsi Gabbard is joining the 2020 presidential race! Get to know fascinating facts about the Democratic representative, who’s a pioneer in many aspects. Tulsi Gabbard, 37, is joining Elizabeth Warren, 69, as another Democrat and woman to contend for Donald Trump’s title as commander in chief! The Democratic representative from Hawaii made the announcement on Jan. 11, telling CNN’s Van Jones, “I have decided to run and will be making a formal announcement within the next week…There are a lot of reasons for me to make this decision. There are a lot of challenges that are facing the American people that I’m concerned about and that I want to help solve.” Get to know the candidate whose name will appear on a future primary ballot. 1. Tulsi is the first Hindu and Samoan in US Congress. She was elected in 2012, and has been representing Hawaii’s 2nd congressional district since 2013. 2. The politician made history as the youngest person to be elected in Hawaii’s state legislature. Tulsi was just 21 years old when she joined the Hawaii House of Representatives in 2002, remaining in the office for two years. 3. Tulsi is a combat veteran. She left the State House of Representatives in 2004 to deploy with the Hawaii National Guard in a medical unit to Iraq. She volunteered for another deployment in 2008, that time as a “military police platoon leader training counterterrorism units,” per a profile from The Atlantic. In between the deployments, she graduated at the top of her class from an Officer Candidate School in Alabama. 5. She was Vice Chair of the Democratic National Committee until resigning. Tulsi gave up the position to endorse Senator Bernie Sanders’ bid for the 2016 presidential race.